IF FAME has changed Dan and Steph Mulheron, it is in all the right ways. Last year the celebrity cooks - made household names after appearing on My Kitchen Rules - opened their first restaurant, published their first cookbook and bought their first home. It was the $250,000 cash prize the Hervey Bay couple won after being declared winners of the hit reality cooking show that allowed them to take another crack at parenthood through IVF. "I feel great," Steph said. "I've been very lucky, I've had a very good pregnancy." Dan and Steph are now in a good place after years struggling with finances and wanting to start a family. "We think that 2014 was our toughest year in setting a lot of stuff up, getting a lot of balls rolling," Dan said. "So we really think 2015 is where we'll reap most of the rewards." The Mulheron calendar is loaded with milestones for the year ahead. They plan to open a coffee shop, have a baby in April and head back into the studio to create another cookbook. With so much on their shared plate, Dan will take on most of the work to allow Steph to focus on being a mother. "There won't be much travel … so I'll be home most nights," he said. "I'm looking forward to spending time with my little family." 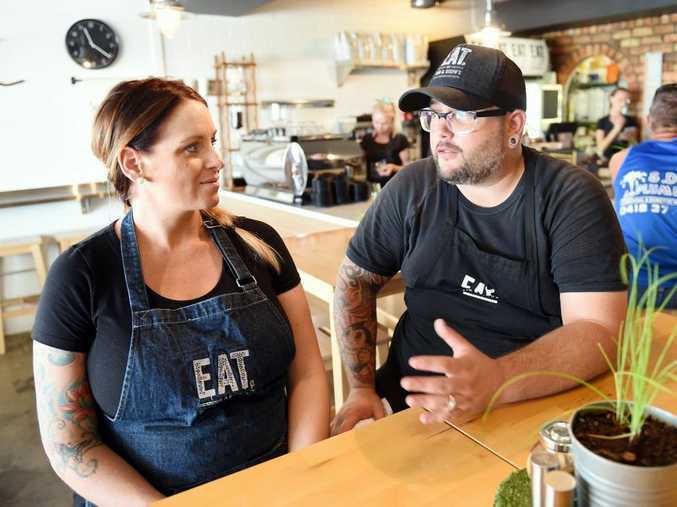 While EAT @ Dan & Steph's, the couple's Hervey Bay restaurant, attracts out-of-towners on the foodie circuit, Dan said they had also built up a regular and local clientele. "We see all these trends coming and going, but we don't want to be following the trends," he said. "We want to be setting the trends. "We are going to go with a lot of secondary cuts and pickling. We're doing a bit of smoking." The fledgling restaurateurs have also experimented with novel ideas like a chef's secret dish that can only be booked in advance with a password obtainable from their Facebook page. "Five days out of seven days a week we're actually at the restaurant," Dan said. "A lot of people think we just own the restaurant and put our name to it but we actually work really hard in that business." And as an apprentice under a chef he employs, Dan literally gets his hands dirty spending hours washing dishes at his restaurant. "The other two days that we're not there," Steph said, "we're working on the business at home." Dan and Steph park their cars in the driveway for a good reason. 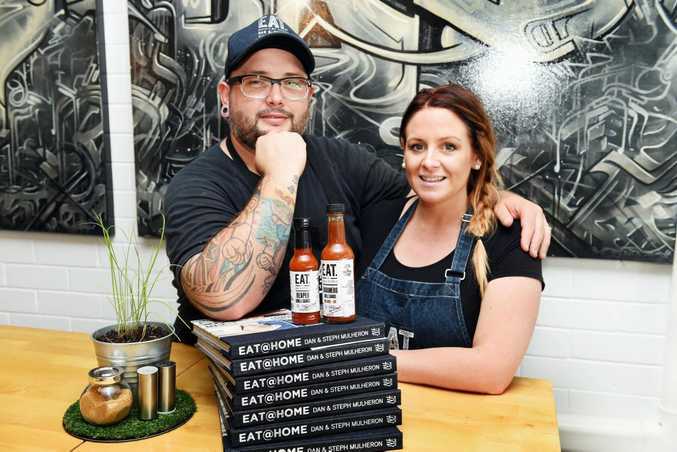 Their garage has been converted into a makeshift dispatch station where they pack the hot sauce and cookbooks they sell via their online store. "There's not much downtime for us," Steph said. "There's always something going on and that's why I suppose we continue to go (into the restaurant) and continue to grow. "We don't want to stop because then your competitor or someone else will be in front of you." 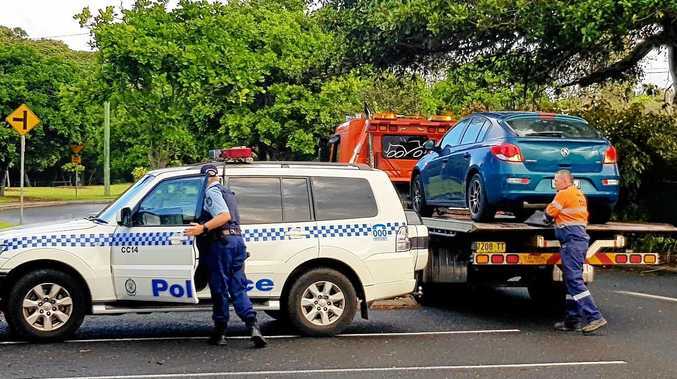 There is no sign of the self-described Aussie battlers slowing down any time soon. "I just think 2015 is the year of Dan and Steph," Dan said. From The Heart: Australian Icons Speak Out. This piece is part of the series, From The Heart: Aussie Icons Speak Out from Australian Regional Media. What's in your Back to School lunchbox? Delicious silverside or is that corn beef?